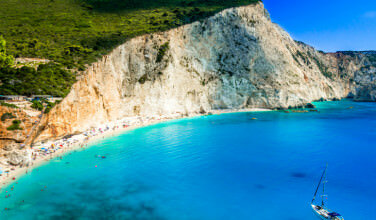 When you decide to visit Greece, chances are pretty good you are thinking of two things – visiting an island and spending plenty of time at the beach. Sure, there are other things to do while in Greece, such as visit iconic sites like the Parthenon or the Knossos Palace on the island of Crete. However, the beach is likely at the forefront of your mind. 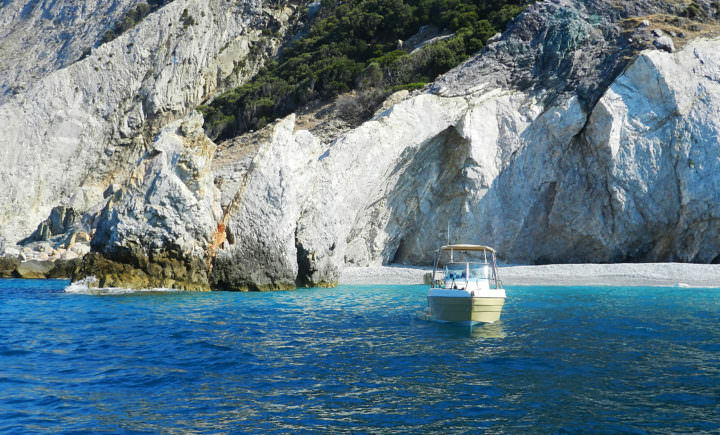 Before you can spend time at the beach, you need to first figure out how to get to the island of Skiathos. The easiest option for visitors is to take a flight into the regional airport on the island. The airport is located about 3 kilometers away from the island’s capitol city and is especially convenient during peak tourist season when there are plenty of options for flights. If you’re flying into Athens you’ll need to take a connecting flight from Athens directly into Skiathos. You can also take a ferry, but Skiathos isn’t on a direct ferry routine from Piraeus, which means that you’ll need to make a connection if your trip originates in Athens. 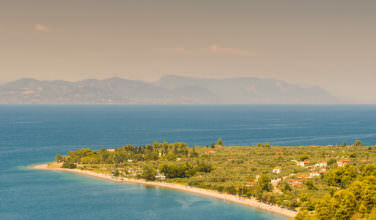 You can take ferries from Agios Konstantinos, a port that is located in Central Greece or from Volos. 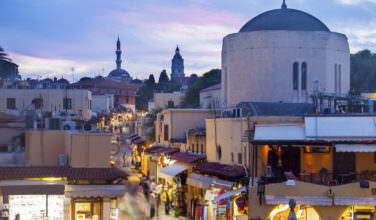 You can find ferries from Athens to these places, however. Lalaria is one of he most popular beaches on the island of Skiathos. One of the reasons for this is that it is in a stunning location. The beach is physically beautiful and aside from that, there are two caves located at the beach that are considered to be amongst the top, must-see sites on the island. The two caves are called Skotini and Galazia and are two of the most photographed features on the island. Even if you don’t want to spend time on the beach, you should still visit Lalaria so that you can see these gorgeous caves. Besides visiting the caves, there are plenty of other things to do at Lalaria Beach. Visitors and locals alike flock here to soak up the sun and enjoy swimming in the warm waters. The beach is somewhat isolated and that is also appealing to visitors. You can only reach this beach by boat and that seems to keep the numbers down. It is a sandy beach, as well, so you won’t need to worry about footwear. Since it is a bit off the beaten track, you’ll need to bring your own beach supplies, such as towels, food, and drinks, if you’re going to truly enjoy the beach. While on the island of Skiathos, take the time to visit Lalaria Beach. Here, you can visit two beautiful sea caves as well as lounge on the beach.